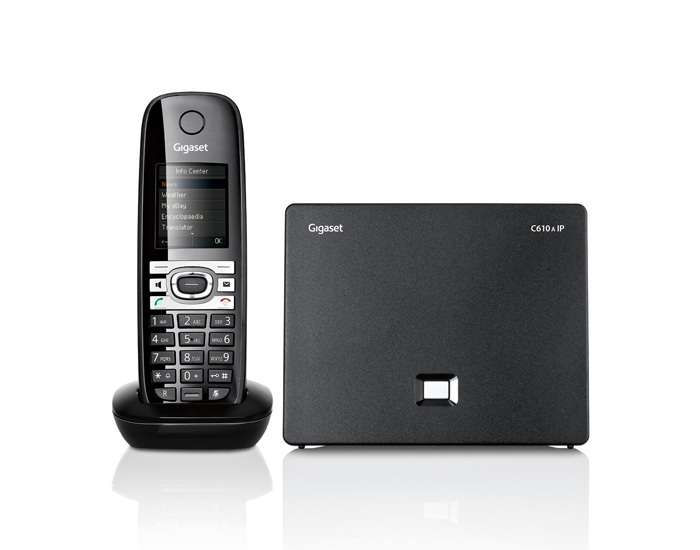 The Gigaset C610A IP is the VoIP and landline phone that gives you smart online convenience and an integrated answering machine. You can place calls via the internet or landline, and up to 3 parallel calls can be made. All VoIP calls feature exceptional HD sound thanks to HDSP™1 technology for absolute calling clarity. The answering machine records up to 30 minutes of messages to ensure that all incoming calls are received when you are out. 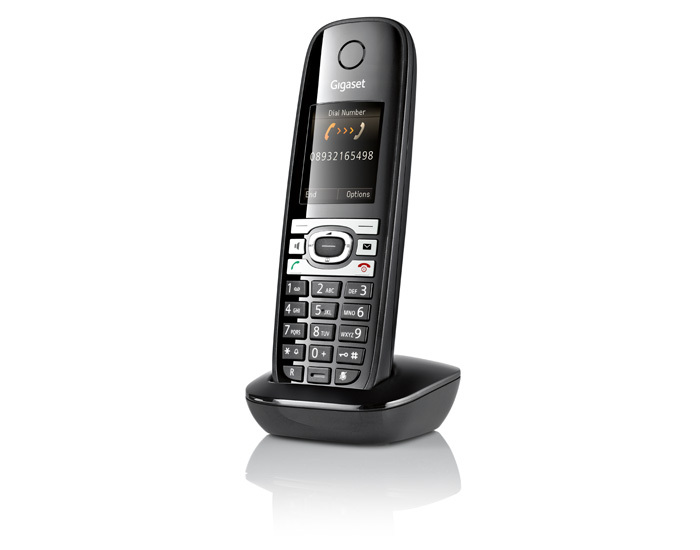 An environmentally-friendly phone, the Gigaset C610A IP is equipped with energy-saving2 ECO DECT technology. 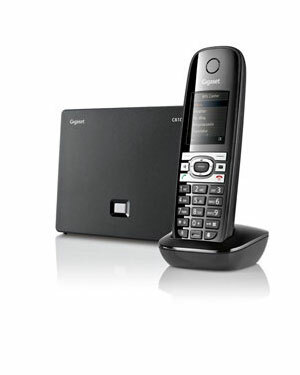 The Gigaset C610A IP: the phone for your internet and landline calling needs, with an answering machine. 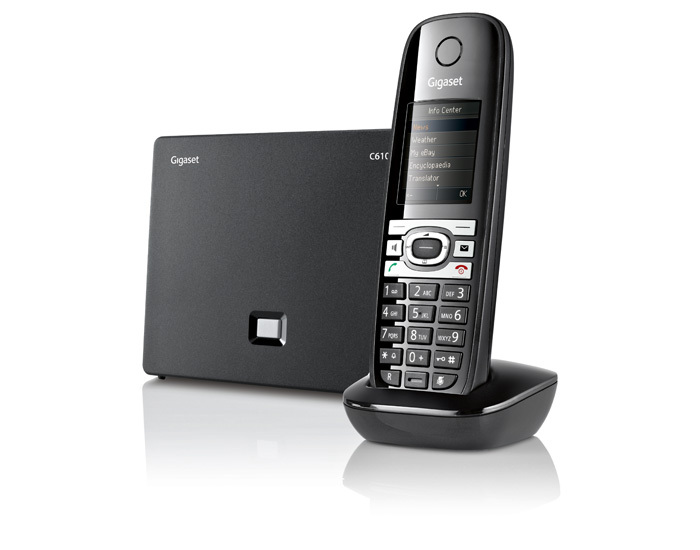 The Gigaset C610A IP has an integrated answering machine that’s designed for absolute convenience. With up to 30 minutes of recording time, there is space for all your messages. All new messages are displayed on the handset, and you can also program the answering machine to receive a new message notification via text message1 to an external number – for instance, your cell phone. When you check messages, a voice announces the date and time. You can operate the answering machine remotely via the handset as well as via the base station. On the Gigaset C610A IP, you can also record calls as they happen if you’d like to save information or simply a nice memory.